On day 4 of studying for the GMAT. I plan to put in ~20 hours per week over the next 3-4 months before sitting for my first exam. Between reading chapters of a Manhattan book and reviewing the daily Magoosh lessons both exercises consumes ~3 hours, which 100% of my study time on a work night. I'm worried that I am spending too much time learning and not enough time doing questions. How do you guys allocate your study time between learning material and practicing questions? Any study advice would be much appreciated. It may seem cramped up now but practice will only be effective if you have mastered the basics. Once you get the hang of the concepts, it will be much easier and quicker to practice. So, focus on only understanding and the time for practice will automatically come to you. This is helpful. I typically struggle with balance. It sounds like I should be comfortable with focusing 4 weeks on learning the concepts in Magoosh and MGMAT. From there I can progress to a CAT and OG questions and focus on pacing and weak points. I didn't do horribly on my verbal diagnostic so I'm sure that can wait. Since you're just beginning your studies, it would be a good idea to take a FULL-LENGTH practice CAT Test; you can take 2 for free at www.mba.com (and they come with some additional practice materials). If you want to do a little more studying first, so that you can familiarize yourself with the basic content and question types, then that's okay - but you shouldn't wait too long to take that initial CAT. That score will give us a good sense of your current strengths and weaknesses and will help provide a basis for comparison as you continue to study. A FULL CAT takes about 3.5 hours to complete, so make sure that you've set aside enough time to take it in one sitting. Once you have those scores, you should report back and we can discuss the results. You have enough time (3-4 months) to try that, but don't try to "100%" concepts before moving on to practice questions. Practice questions are an important part of the learning process, as they force you to apply whatever you've been learning. So, you ask a really good question. I don’t think you need to be worried about how much time you are spending learning versus doing practice questions. Rather, you need to ensure that you are doing enough practice questions to gain mastery after learning a particular topic. For example, if you are learning about Number Properties, you should develop as much conceptual knowledge about Number Properties as possible. In other words, your goal will be to completely understand properties of factorials, perfect squares, quadratic patterns, LCM, GCF, units digit patterns, divisibility, and remainders, to name a few concepts. After carefully reviewing the conceptual underpinnings of how to answer Number Properties questions, practice by answering 50 or more questions just from Number Properties. As you do such practice, do a thorough analysis of each question that you don't get right. If you got a remainder question wrong, ask yourself why. Did you make a careless mistake? Did you not properly apply the remainder formula? Was there a concept you did not understand in the question? By carefully analyzing your mistakes, you will be able to efficiently fix your weaknesses and in turn improve your GMAT quant skills. If you are studying in this way, you will organically spend as much time as you need learning and practicing. Thus, don’t limit yourself; just work at your own pace and focus on learning and mastering the material. 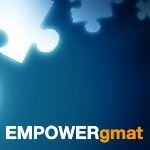 You also may find it helpful to read this article about The Phases of Preparing for the GMAT.